The SFMC (Salesforce Marketing Cloud) integration allows you to send any of your Permutive segments directly to SFMC, where you can use them for targeting on campaigns. The SFMC integration configured for your project. 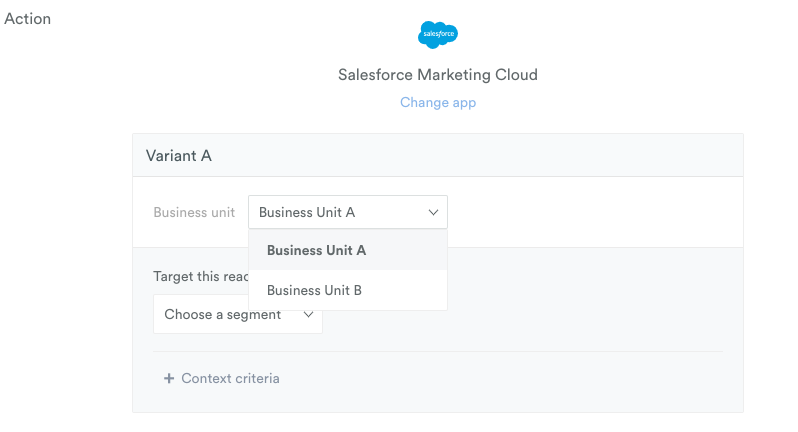 Set up the reaction for your segment by choosing the Business unit and Segment you'd like to target this reaction to. For more guidance on setting up reactions, see this guide. The reaction should be set to fire 'Every Time'. Please contact us via support@permutive.com or through LiveChat if you have any questions.